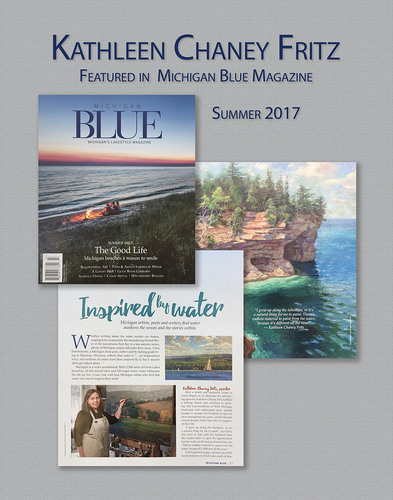 Kathleen Chaney Fritz featured in the summer 2017 Michigan Blue Magazine! 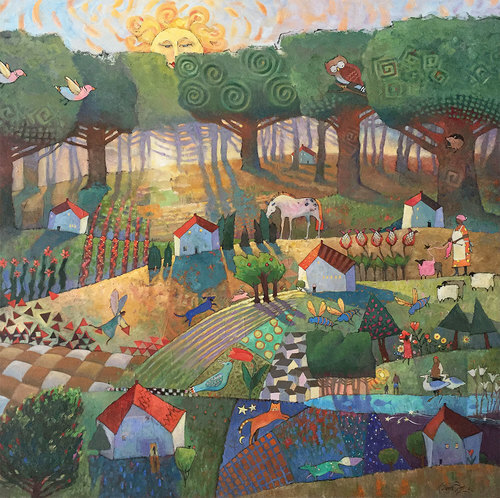 Hot off the easel is a new painting by Kathy! 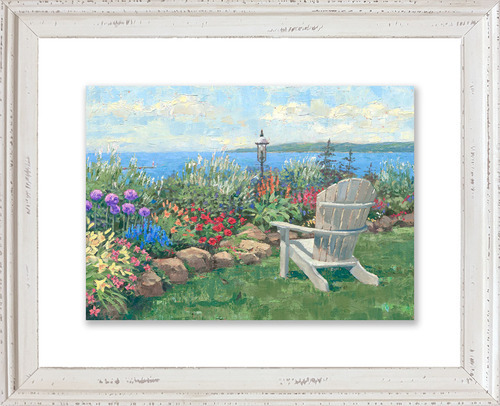 Just added our new line of 11x14 and 16x20 framed giclée prints. 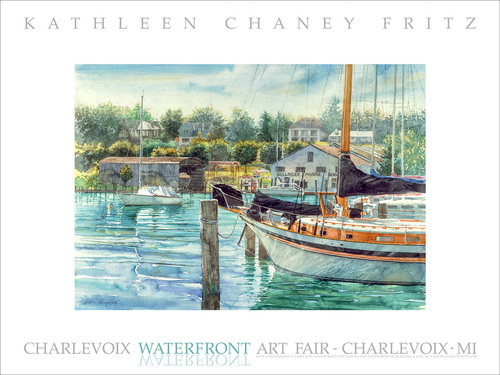 Kathleen Chaney Fritz open edition fine art giclée prints are framed with a white washed distressed molding designed to look great in any decor. 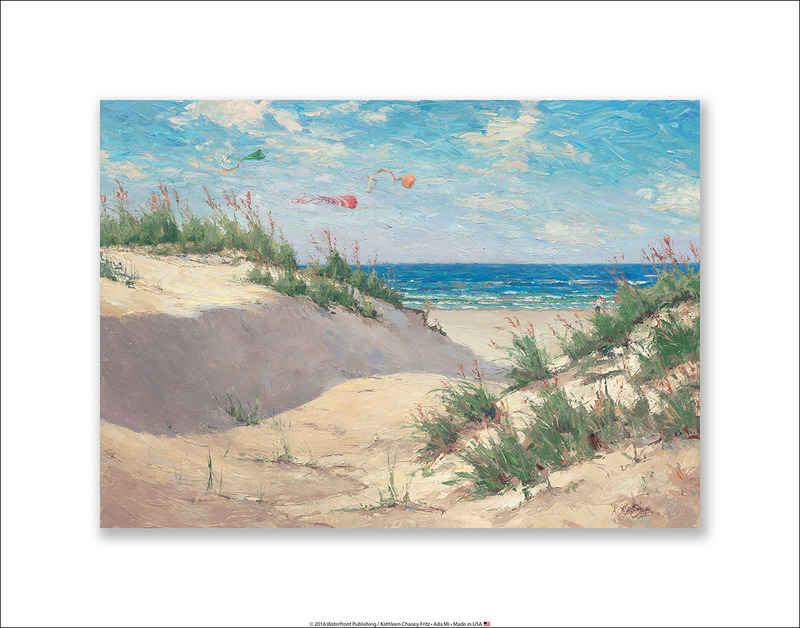 Each print features a soft shadow around the image which gives it a “3D illusion” as if the image is “floating” in space without the need of a mat. Take advantage of our fast free shipping during the holiday season! Something New from Kathy – Amazing Fiber Art!! 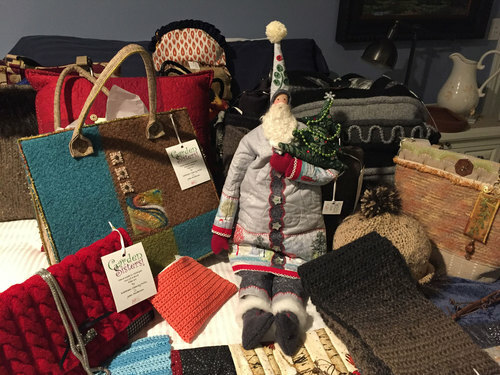 Check out Kathy and her sister Joan's amazing fiber art creations all made by hand from a "bolt of cloth and a ball of yarn" at Beneath the Wreath this Friday and Saturday!